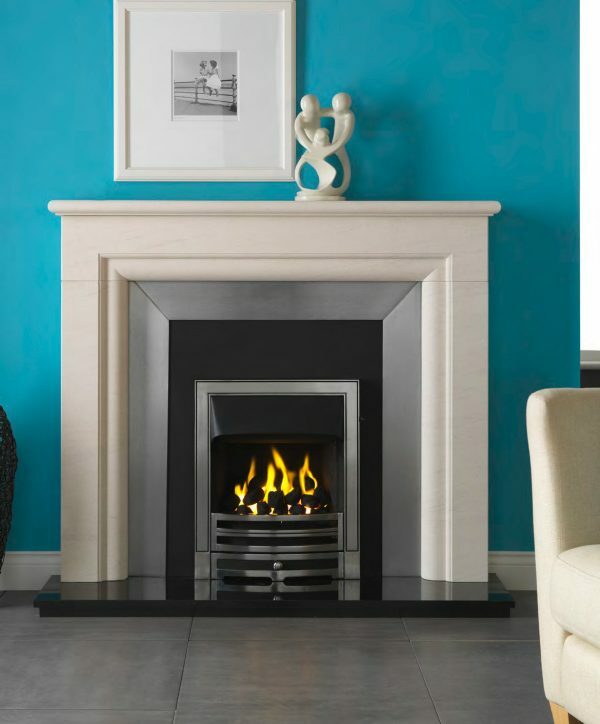 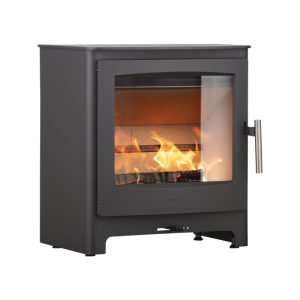 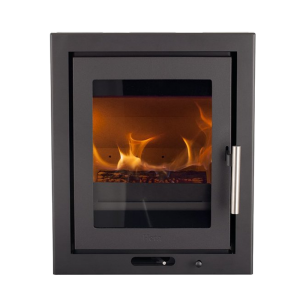 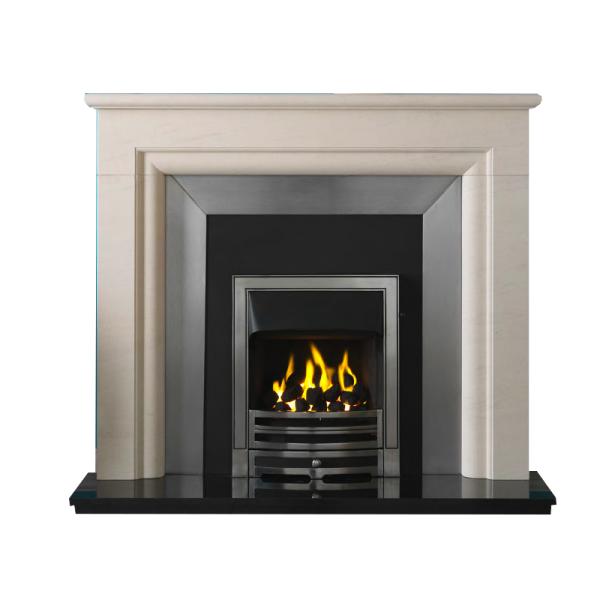 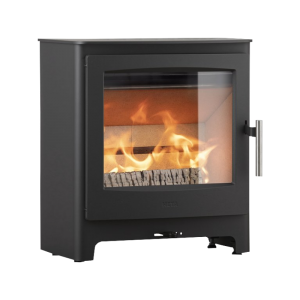 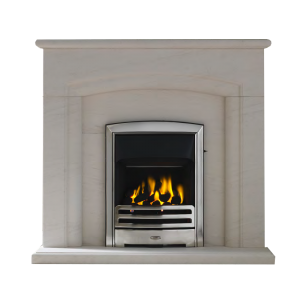 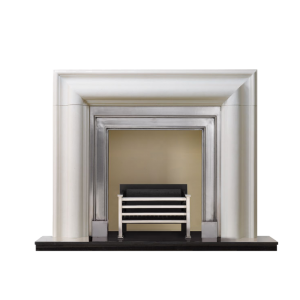 Crafted from natural Portuguese Limestone, the strong purposeful curves of the mantel provide a beautiful contrasting frame for the bold linear design of the Brava stainless steel plate back panel. 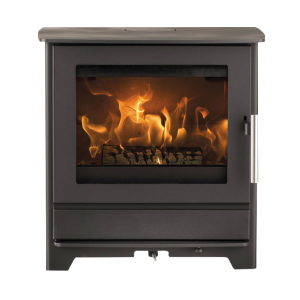 Also featured is the Burlton fire. 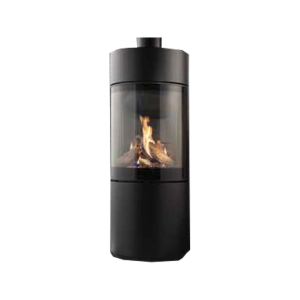 This timeless design is available in three finishes; polished, antique brass, and black.